It has come to our attention that a cryptocurrency exchange, under the name of BiteBTC.com, has been FRAUDULENTLY using our name to operate and promote their exchange, cheating investors of their hard earn money through investments in cryptocurrencies on their platform. The footer of BiteBTC’s website previously claimed to be operated by FinanceFirst Pte. Ltd and was located in Singapore with our rightful UEN identifier. After being alerted by various users, BiteBTC.com have since changed the footer of their website where it claims to be operated by a company named ‘First Finance LLC’, located in Seychelles (East Africa). Investment Stab is a blog under the company, FinanceFirst Pte Ltd. We are not involved in any cryptocurrency exchange activities or stored value facility. Any activities by BiteBTC.com are not associated with or carried by us. 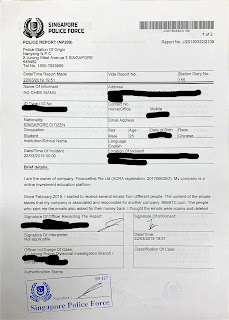 As to reasons why our details and UEN identifier were listed and misappropriated by BiteBTC.com, this information can be easily obtained from ACRA (Accounting and Corporate Regulatory Authority) of Singapore by doing a search in BizFile. More details can also be easily purchased from BizFile at SGD 11. When we searched for ‘First Finance LLC’, this company came up, and it is based in the United States of America (USA). 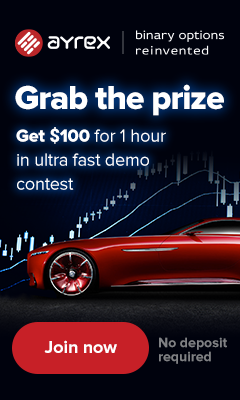 It is evident that BiteBTC.com is probably using another company or is a non-existent company to continue their fraudulent business practice. No other information on its operating team or members were found on its website. We have since lodged a police report against BiteBTC.com for theft of our identity and we trust that the police will investigate the matter. In addition, we were also told that there have already been several reports lodged against the BiteBTC.com for fraud. In addition, we would also like to use this to educate our fellow readers on the issues surrounding cryptocurrency as an investment or trading instrument. Cryptocurrency currently operates in the legal grey area of many countries and is often not regulated. Due to the nature of technology, ambiguity and opaqueness are usually inherent where investors often do not fully understand its capabilities and promises. With such characteristics, combined with the promised hype of riches, it is a superior tool for scams and other illegal activities. We hope to warn readers and potential investors of any cryptocurrencies to carry out extensive research and exercise judgement on the accuracy of the information presented. Investment Stab is a financial education platform. We aim to be the site where people can reach out to learn about personal finance, and we are committed to continuing towards that goal. We will keep you updated should there be any new findings from the police.